Front desk agent was very pleasant. Clean room and quiet. My family, including dog, and 15 month old had a great time. Plenty of room for pack and play and dog beg. Had a great stay. Where to find Ferndale hotels near an airport? Where can I find hotels in Ferndale that are near tourist attractions? As there's 10 Expedia-recommended rooms in Ferndale, visitors here have plenty of options to consider. Expedia's network currently offers 10 accommodations within a short drive of the center of town. 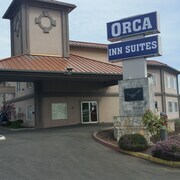 You'll find Super 8 - Bellingham Airport/Ferndale and Orca Inn Suites within 3 kilometres (2 miles) of Ferndale's center. The Chrysalis Inn & Spa is located 15 kilometres (9 miles) away from the center of Ferndale. Another option is the Four Points by Sheraton Bellingham Hotel & Conference Center, which is located 15 kilometres (9 miles) away. Some other hotel options include the Springhill Suites by Marriott Bellingham and the Ocean Promenade Hotel. Keen on seeing more of the forests, mountains and glaciers that this area features? Why not spend a few nights in some of the other parts of Northwest Washington? Spend time skiing, cross-country skiing and mountain climbing or visit the region's attractions. Comfortable accommodations are available. 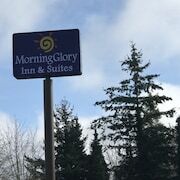 The nearest accommodations in Bellingham include Blaine and Lynden. Blaine is 20 kilometres (12 miles) to the northwest of Ferndale, while Lynden is 16 kilometres (10 miles) to the northeast. 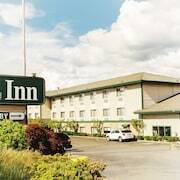 Blaine accommodations are the Pacific Inn Resort & Conference Centre and Northwoods Motel. 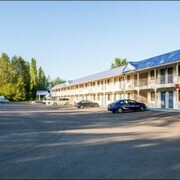 While apartments and hotels include the Homestead Resort and Windmill Inn Lynden. Don't leave Bellingham before seeing a game at Skagit Speedway. If you are looking for somewhere to stay checkout at the Mount Vernon RV Campground. 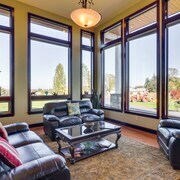 Located 7 kilometres (4 miles) from Ferndale is Bellingham International Airport. 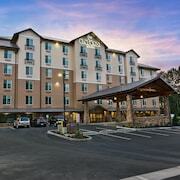 Stay nearby at Hampton Inn Bellingham-Airport or La Quinta Inn & Suites Bellingham. What are the most popular Ferndale hotels? 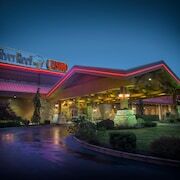 Are there hotels in other cities near Ferndale? What other types of accommodations are available in Ferndale? Explore Ferndale with Expedia.ca’s Travel Guides to find the best flights, cars, holiday packages and more!